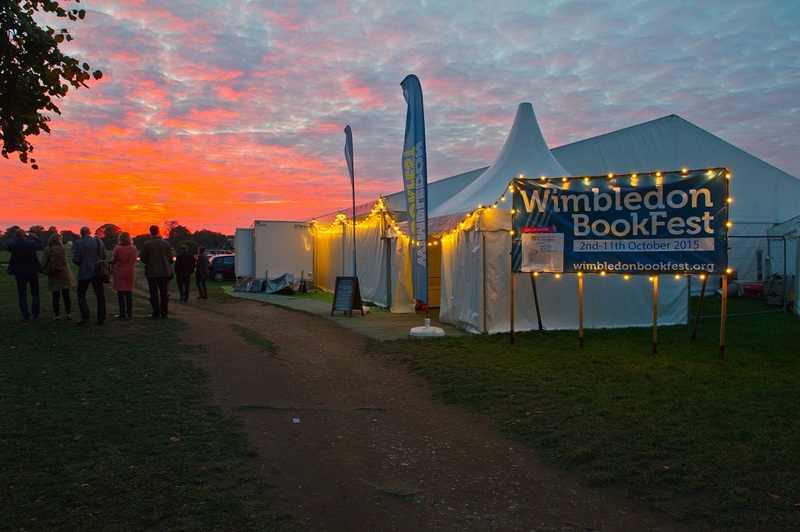 The tenth annual Wimbledon Bookfest is back this autumn bringing together the worlds of literature, the arts, politics, popular culture, film, sport and music to the Big Tent on Wimbledon Common. Headliners include: former Deputy Prime Minister, Nick Clegg; multi-award winning novelist Kate Atkinson in her only UK event this year; Orange Prize winning author Rose Tremain; adventurer Sir Ranulph Fiennes; broadcasters Jeremy Paxman and Jenni Murray; politicians Sir Paddy Ashdown and Lord David Owen; entrepreneur Jo Malone; poet laureate Carol Ann Duffy; inspiring cookery writer Ella Woodward and ‘Outnumbered’ creator and debut novelist Andy Hamilton. Headlining the children’s programme are Clare Balding and Michael Morpurgo, who will be talking about their love of animals. Bestselling authors for schools events include: David Baddiel, Michelle Paver, Santa Montefiore and Caroline Lawrence. Set on Wimbledon Common, close to Wimbledon Village, a specially commissioned Big Tent seating up to 500, and an intimate William Morris themed marquee, provide the focal point for the Festival. Festival Director, Fiona Razvi said: ‘It’s amazing to think how far the festival has come in ten years. Wimbledon BookFest is a wonderful example of a community embracing the arts and working together to provide world class entertainment. This area has always had a strong tradition of the arts, but a festival creates a special energy and magic by groups working together that is incredibly exciting. This year we are especially proud to welcome a strong line up of female literary writers together with BookFest’s trademark mix of politics, history, sports and comedy. · Cookery – Miriam González Durántez talks about Spanish food and encouraging her three sons to cook. · Comedy on Wimbledon Common headlined by Marcus Brigstocke. · Girl Up/Man UP with Laura Bates¸ Alexi Mostrous and Miranda Sawyer. · Bestselling novelists – Jessie Burton and Marina Lewycka. · Oliver James on why it’s not all in your genes. · Ben Macintyre on the history of the SAS. · Sports fans – don’t miss Brian Moore and friends or John Inverdale discussing the rise of underdog teams Leicester City and AFC Wimbledon. · David Bowie Night – Bowie biographer Paul Morley talks to Radio X’s John Kennedy. · Other events include: Literary Bike Ride, Radical Walk, Writing Workshop and the Wimbledon International Short Film Festival.